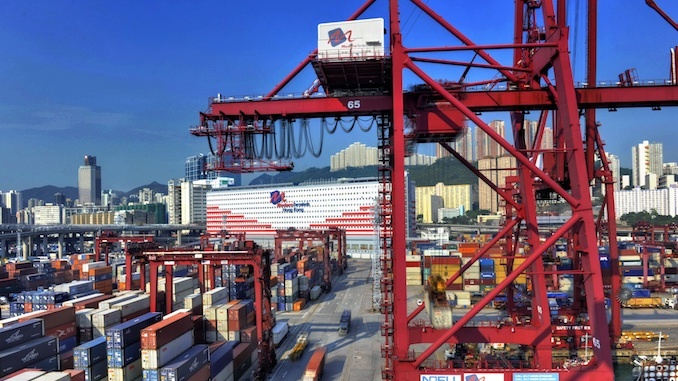 July saw box volumes fall for a sixth straight month at the Port of Hong Kong. The port handled 1.64m teu, down 7.4% compared to 1.78m teu in July 2017. Drilling down, the Kwai Tsing terminals handled 1.29m teu, a fall of 8.1% compared to a year ago. Midstream operators handled 350,000 teu, 6.9% less than in July 2017. Over the seven months since 1 January the terminals and midstream operators have handled a total throughput of 11.5m teu equal to a decline of 4.4% compared to the same period in 2017. 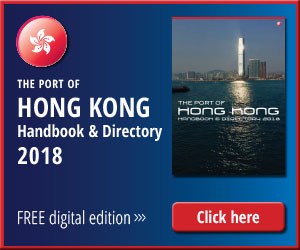 The interests of Cosco Shipping Ports in the Port of Hong Kong, fared worse among its portfolio of facilities worldwide, recording a 16.6% decline in throughput to 259,900 teu in July. 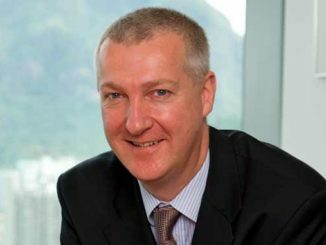 Overall, however CSP notched up a 12.1% increase in volumes to 8.59m teu. The star performer for CSP during the period under review were the facilities in China’s Bohai Rim region with volumes rising 21.5% to 1.69m teu, up from 1.39m teu a year ago. Volumes were down 2.5% at terminals in the Yangtze River Delta (1.64m teu), as throughput fell 0.8% (2.47m teu) at Pearl River Delta facilities. 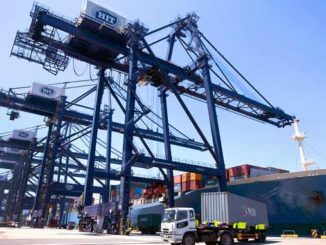 CSP terminals on China’s southeast and southwest coasts, the former pushed up volumes by 8% to 468,700 teu and Guangxi Qinzhou International Container Terminal on the southwest coast notched up growth of 5,4% to 118,700 teu. Last but certainly not least in terms of volume growth, CSP’s overseas terminals surged 42% to 1.20m teu.